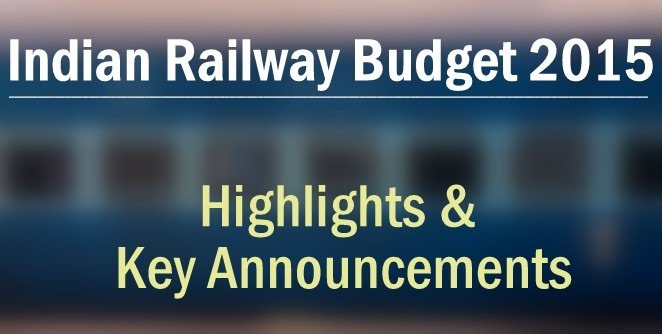 Indian Railway Budget will be unveiled by Railway minister, Shri, Suresh Prabhu today. We will be bringing you Highlights and key announcements about this budget live as it happens. So, what are common man’s expectation from this Railway Budget? Reduction of fares? No Fare hikes? Bullet trains? Internet connectivity on trains? new routes? modernization? Cleanliness? We will find out shortly. – 1000MV Solar plants to be set-up by developers on land and on railway building via private partnerships. – A new State of the art perishable cargo center coming up for farmers. – 1330% increase in railway electrification over previous year. – Removing Bottlenecks – 100% more funds allocated for the same. – New Bio-toilets will replace the existing ones, nearly 18000 of them in this year. – Emphasis on increasing capacity on high density networks. – 11:30am: We will update it as it happens.. the budget is yet to start. Hey Prabho Namo Namaha!Par AAP ke trains time pe kab Bihar aur Eastern regions mein chalenge? Government should display the project status against last 10 years railway budget yearwise to make people understand the way earlier government made foolish to public.